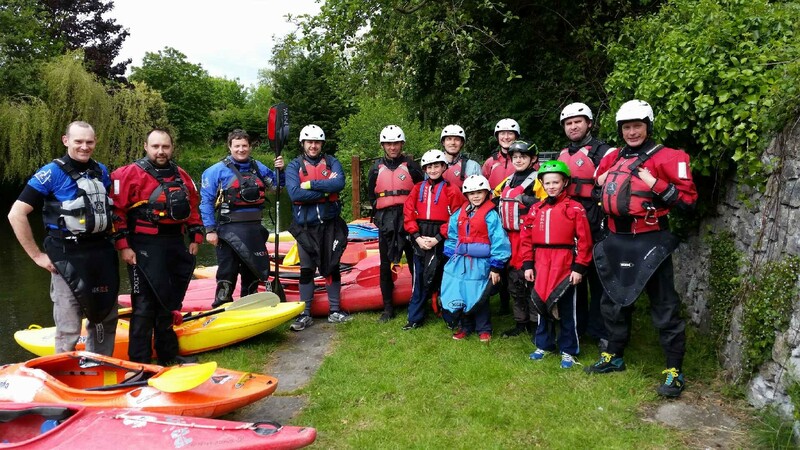 Based in Durrow, Laois Kayak & Canoe Club (LKCC) was established in 2011 to be a family-focused club that caters for all levels of kayaking. From the start, a strong focus of LKCC, as defined in its five year development plan, was to get people involved in kayaking who were not presently active in sport. We see the club as giving an alternative to those who do not engage in the more traditional sports. As such, our club officers have attracted many new female and younger members who had opted out of all sports. This has broadened the family appeal in the club and we now cater for ages 8 to 80 in many kayak disciplines. To help meet this objective, LKCC started to run beginner evenings during the summer months. Anybody who wanted to try out kayaking was welcome to come along. One evening a week soon grew to three as the numbers of new paddlers coming to our sessions quickly increased. Though club members kindly loaned their personal boats and gear to facilitate the demand, the limited amount of club-owned equipment soon started to become a constraining factor. It was at this point LKCC contacted Canoeing Ireland for assistance. Within a short time, LKCC was able to collect a fleet of kayaks, paddles, helmets, buoyancy aids and spray decks. Having this resource available to the club meant that we were better able to structure our summer training schedule and could guarantee people who came along that they would be able to get on the water. LKCC has used Canoeing Ireland’s equipment loan scheme in 2014 and 2015. It has also availed of boats from the canoe polo and canoe marathon committees. LKCC makes a conscious effort that all paddler training and progression follows Canoeing Ireland’s development programmes and therefore each newcomer to the club is encouraged to attain a minimum of a level 2 kayak skills award. This summer, LKCC’s instructors ran two level 2 courses during May and August respectively. In total, 30 paddlers were certified to this standard. Without Canoeing Ireland’s help, the club would have not been able to deal with these numbers. Canoeing Ireland offer a great service to clubs whereby they will lend a fleet of boats for a period of up to three months. This is designed to encourage clubs to try out other disciplines, without requiring them to make an initial investment. The service makes a big difference to small clubs who would not otherwise have the resources to try out the different paddling disciplines. 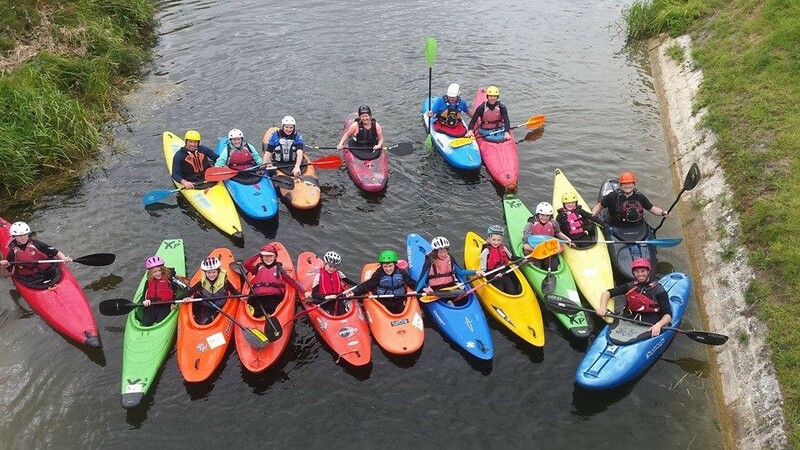 This summer, Lir Canoe Club made use of Canoeing Ireland’s fleet of sea kayaks, and it was a huge success. We borrowed six sea kayaks and paddles, which was plenty for a small club like us. James O’Reilly, an instructor with Canoeing Ireland, ran a rolling and rescue session for sea kayaking which several of us attended, and it proved incredibly beneficial. The rescues are remarkably different for sea kayaking, so having this knowledge and having done some practice meant we were more confident on the water, but thankfully we didn’t have to call on our new skills! Thanks to the Canoeing Ireland loan, we paddled in the Dublin Bay area every week, joining with other sea kayakers in the area. We also did a multi-day trip in Clew Bay with Ali Donald, and we did a multi-day trip from Waterford exploring the Gold Coast. The experience was hugely beneficial to the members and to the club as a whole, and several of us now hope to invest in sea kayaks to keep exploring our coastlines. Many thanks to Canoeing Ireland for this great opportunity, and many thanks to the staff in the CI office who facilitated the logistics of the loan. Lena Doherty, Lir Canoe Club.